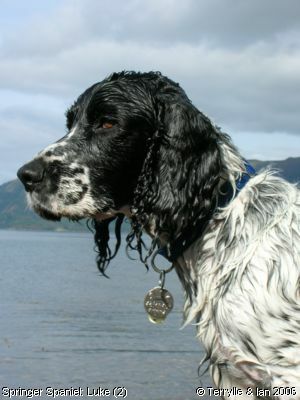 This is Luke after a swim in a loch on holiday in Scotland! 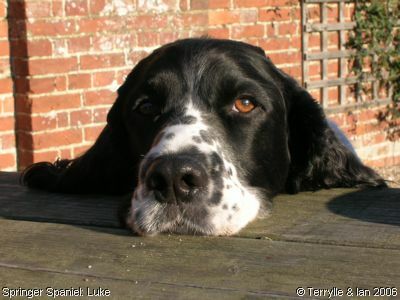 He also loves to swim in the sea and tearing around in the woods, as much as he loves sun bathing on his mum's bed!!! Highlight of his day is a banana before bedtime, he loves them!!!! Always trying so hard to please... what's my next job, mum?